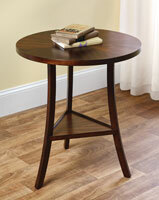 This sturdy table is also useful. 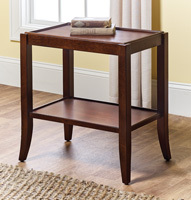 It’s small enough to fit tight spaces yet large enough to add interest to a room. 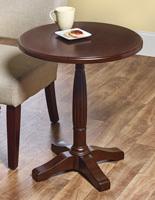 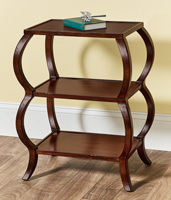 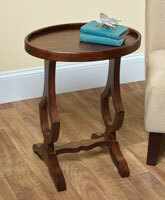 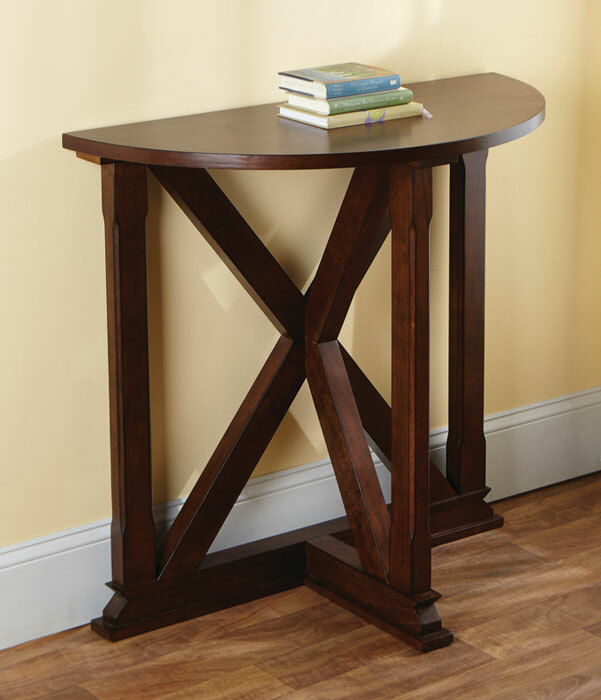 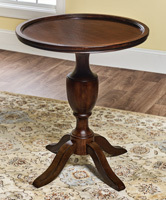 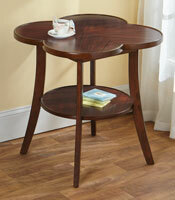 It is crafted of Asian hardwood with a mahogany finish.